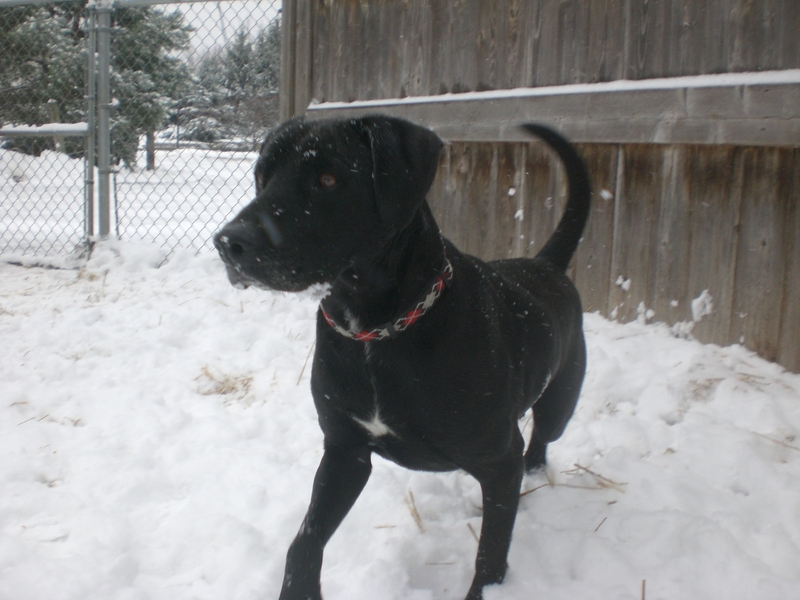 Shiloh the two-year-old black Labrador Retriever mix is quite the cutie. She was a little shy and nervous when I first took her out of her kennel, but boy did she perk up as soon as we got to the off-leash run! She was off and scampering through the snow, moving so quickly that half of the pictures I took were just of the snow with a black blur in the corner. This is one pooch who definitely would love to have a backyard to call her own. Shiloh is a very friendly girl who could go to a home with or without another dog. She is currently sharing her kennel with Benny (who almost got ran over a couple of times because Shiloh was going so fast!). If she saw me petting Benny, she would hurry over to get her fair share of loving, too. Shiloh is ready to be found by her forever family. Could that be you? 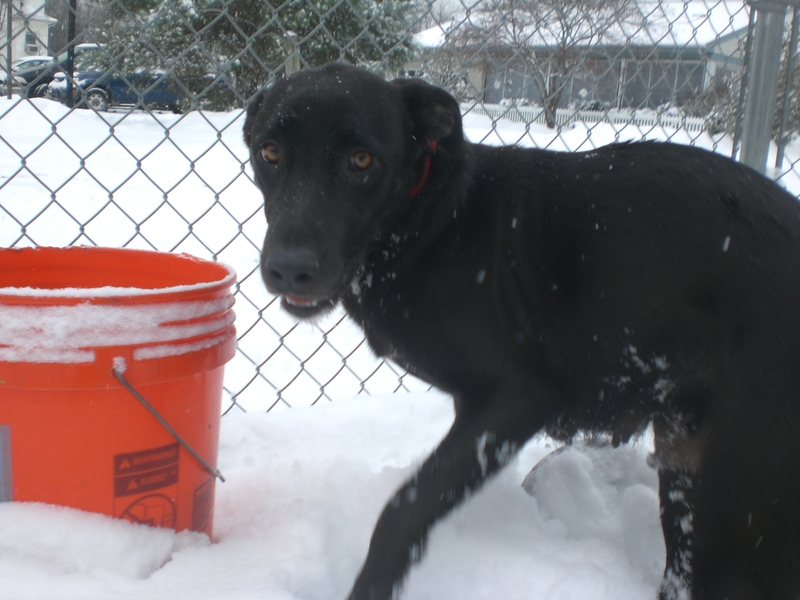 Harry the five-year-old black Labrador Retriever mix is super sweet. He walked nicely on the way to the off-leash run and enjoyed sticking his nose into the snow piles to find some interesting scents. Harry is currently sharing his kennel with Tilly (poor Tilly–all of her kennelmates keep getting adopted, and she keeps getting passed over! Why is this?? ), and he was friendly with a few other dogs we saw while we were out, so he’s another pooch who could go to a home with or without another dog. Harry is also a snuggler. He put his paws in my lap while we were out and gave me a quick doggy kiss before going back to play in the snow. I also saw Harry when I stopped by the Holiday Pet Showcase at Northbrook Court yesterday, and he greeted me with a wagging tail and sat very nicely when strangers came over to say hello. I say this all the time, but it’s certainly worth repeating: a Lab is a Lab is a Lab, regardless of its fur color, so don’t let Black Dog Syndrome get you down when there’s a lovable dog like Harry waiting for his new home! Come in soon to meet him. 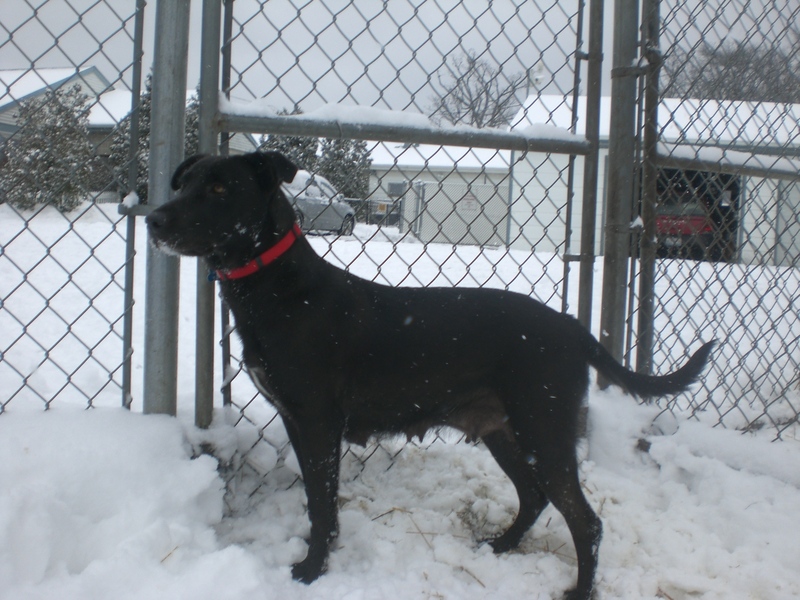 Rosco, Wilbur, Diamond, Sonny, Jade, and Melvin all enjoyed romping in the snow as well! 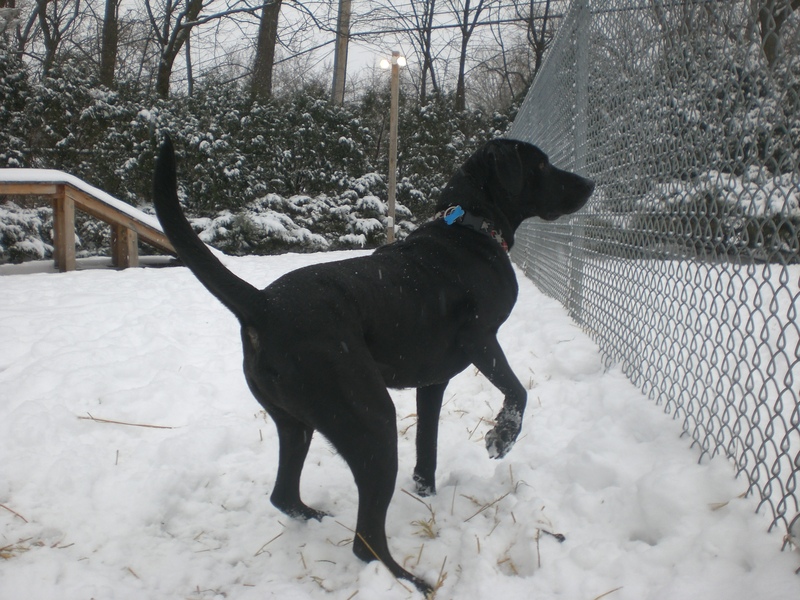 Posted by Meet the Pooches on December 19, 2013 in Dog Profiles and tagged adopt, adoption, animal shelter, animals, Chicago, dogs, Labrador Retriever, Orphans of the Storm, pets, snow. It’s not too late to go to veterinary school is it? Medical-related things make me queasy… I don’t think vet school is the place for me!